Closest Ocean Front property to Arizona, located in Rocky Point Mexico. RENT before you buy for $175 per night, depending on the season!! 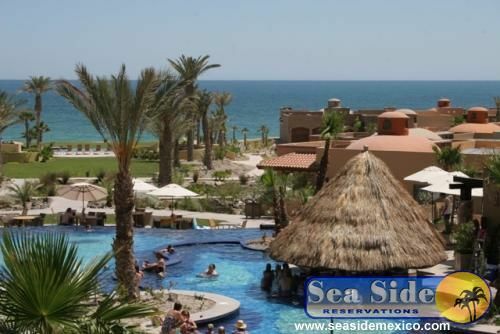 This is a 2 bedroom, 2 bathroom Ocean view Condo only 4 hour drive from Phoenix in the Exclusive Bella Sirena Resort in Rocky Point Mexico. This Property has great ocean views, it has been fully furnished with high end furnishings including plasma and LCD TV, DVDs, & VCRs in all rooms, sofa Sleeper, all kitchen appliances, etc. This is a turn-key property. This open floor plan which includes 2 bedroom and 2 baths and a large patio directly overlooking the pools and nice ocean view. The Bella Sirena is an elegant condo complex that has lagoon like swimming pools, jucuzzi's, beach club restaurant, workout facility, and guard gate entrance. The bedding in this condo is a queen in both bedrooms and a queen sleeper in family room. Please call Dave Jacobs @ 602-809-6622 with any questions.